Location: South Simi Valley. From Highway 118, take the First St. exit and go south (turn right if you’re coming from the west, left if from the east) for 2.8 miles. Turn left into the parking lot signed for Challenger Park (just past the intersection with Stonebrook. From Highway 23, take the Olsen Road exit and go northeast for 1.9 miles to Wood Ranch Parkway. 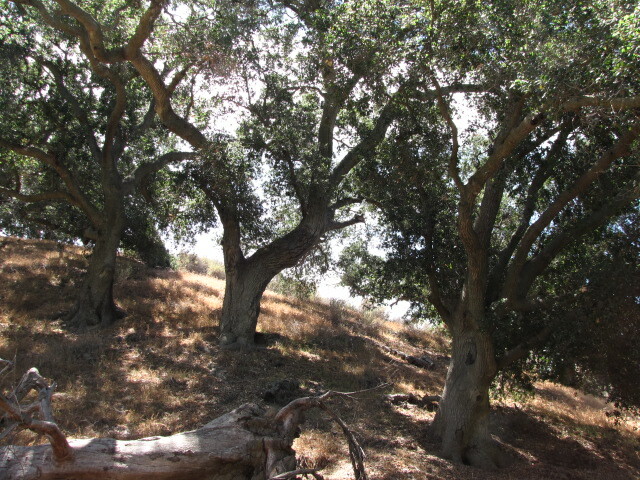 (Olsen becomes Madera Road en route). 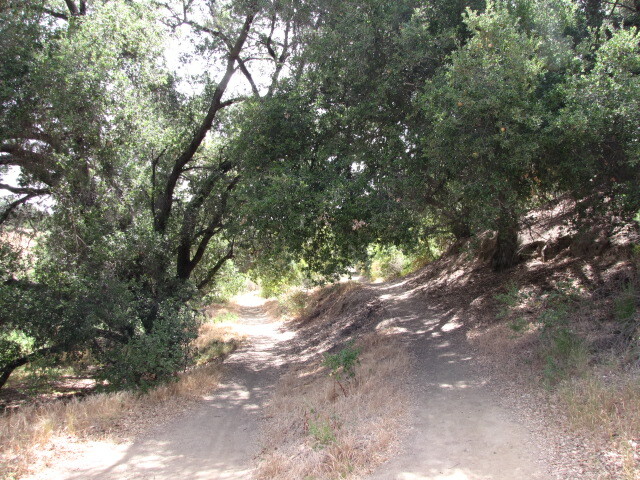 Turn right on Wood Ranch and go 1.9 miles to the junction with Long Canyon Road. Turn left onto Long Canyon Road and go 1.7 miles. Challenger Park will be on the right, shortly before Long Canyon Road becomes First Street. 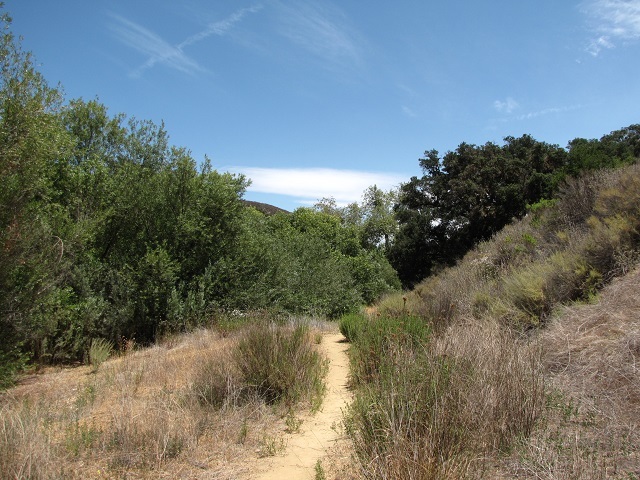 Located on the south side of Simi Valley, Challenger Park is a hub from which a variety of hiking and equestrian trails branch off. 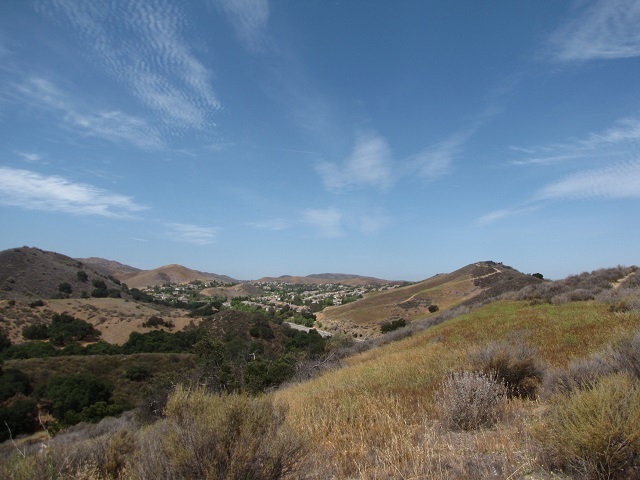 The short loop described here showcases some of the scenery of Simi Valley, from rolling hills to shady oak canyons. The hike can easily be done before or after work, but despite its brevity, there’s enough climbing to burn a few calories. If you have extra time, you can extend the hike with a trip into nearby Long Canyon. Bear right at a Y-junction and at 0.25 miles, beneath a large sycamore tree, make a hairpin right turn. 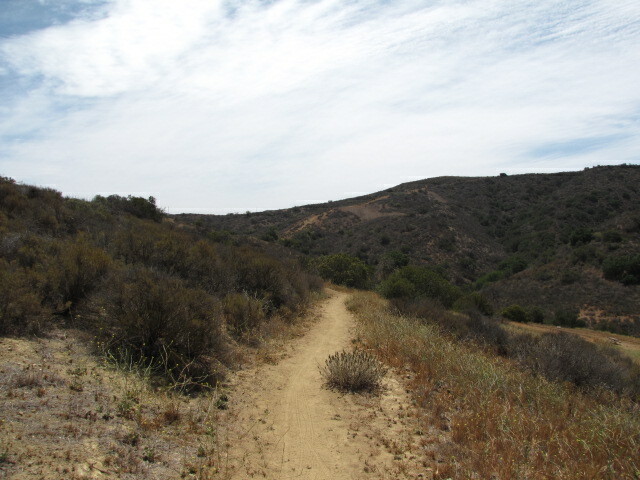 You begin the first ascent of the hike, climbing about 200 feet over the next quarter mile to reach the top of a ridge. 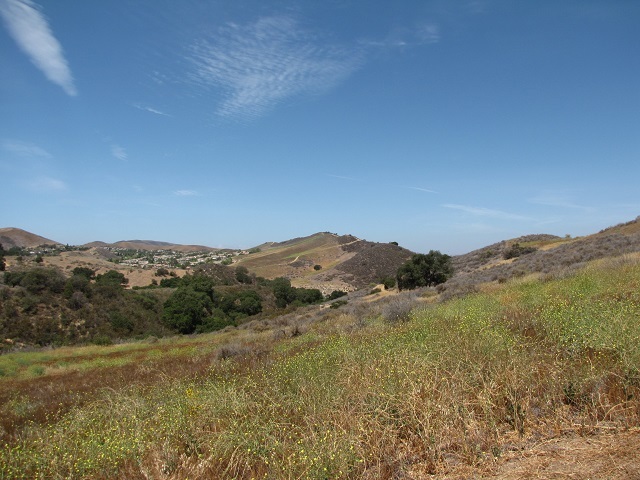 Here you get a panoramic view of the Simi Hills and the meadow below. Turn left and follow the ridge to another trail which descends into the meadow, passing a few picnic tables. 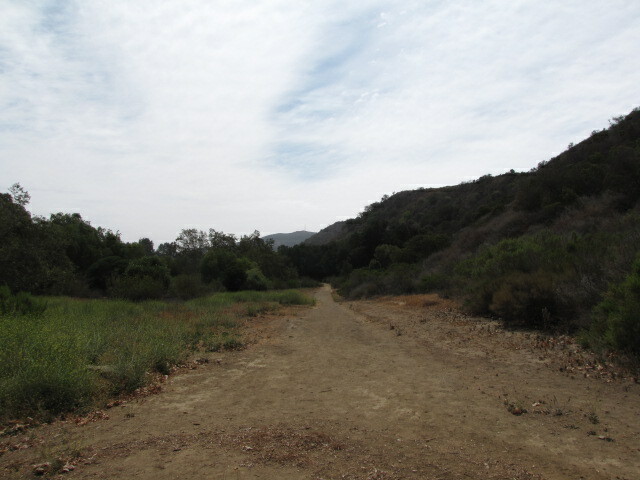 The trail drops back into the canyon, winding along the foothills. Stay left at a junction (the right fork heads back to the park, an option if you want to shorten the hike) and at about 1.1 miles from the start, you join the east Long Canyon Trail. Bear right, heading toward the street, and almost immediately make a right onto an obscure-looking single track trail that leads back toward the park. This last section of the loop feels pleasantly remote and secluded, despite being only a few dozen yards from Long Canyon Road. 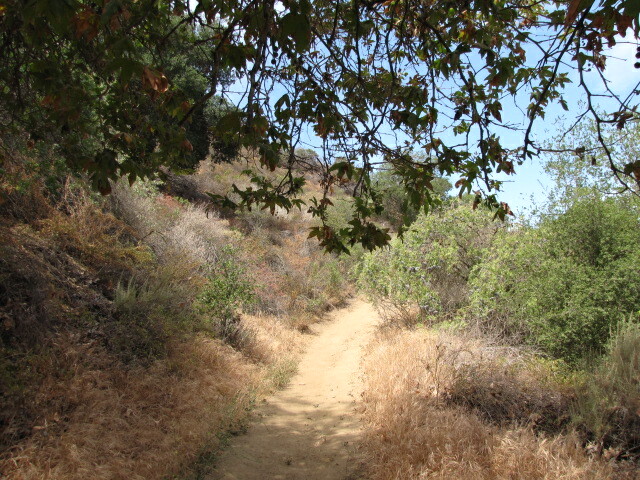 Soon the trail leaves the shaded canyon bottom and climbs back to the ridge. 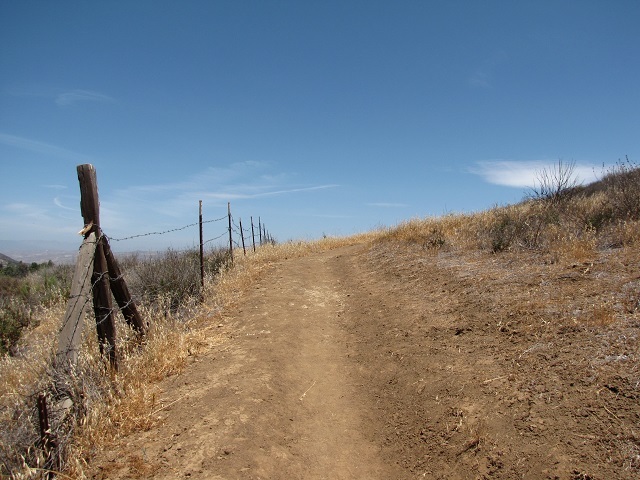 Take a left at at T-junction and follow along a fence line before reaching a saddle where several trails merge. Head straight and make the final descent to complete the loop at the Challenger Park lot.